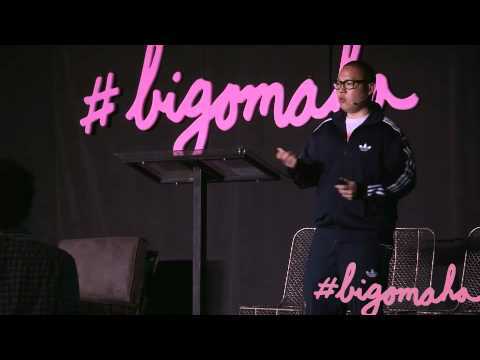 Eddie Huang of Bao­haus NYC, in his talk dur­ing Big Oma­ha 2012 (May 11) pre­sent­ed by Microsoft BizS­park. Pret­ty fun­ny, and inspir­ing stuff. Huang is a writer, chef, entre­pre­neur and TV per­son­al­i­ty based in New York City. He is best known as the chef and own­er of Bao­Haus, which has received crit­i­cal acclaim and cov­er­age from The New York Times, The New York Post, CNN, NBC, CBS, The Vil­lage Voice, Town & Coun­try, XXL, The Source, Com­plex, Entre­pre­neur, The Wall Street Jour­nal and many oth­er out­lets. Eddie earned a flaw­less “$25 and Under” review from The New York Times, “Best Bun 2010” from New York, “Best Fries” from Time­Out New York 2010 and Top 10 Eats The Vil­lage Voice. #Start­up Sto­ries is a video series by NASDAQ and New York Tech Meet­up, fea­tur­ing founders from star­tups like foursquare, Bit­ly, Birch­box and War­by Park­er, shar­ing per­son­al sto­ries about build­ing their com­pa­nies. Just thought I’d share this for future ref­er­ence, as well as cur­rent of course. This was pub­lished a while back by Num­ber 17, a cre­ative stu­dio led by Bon­nie Siegler and Emi­ly Ober­man. 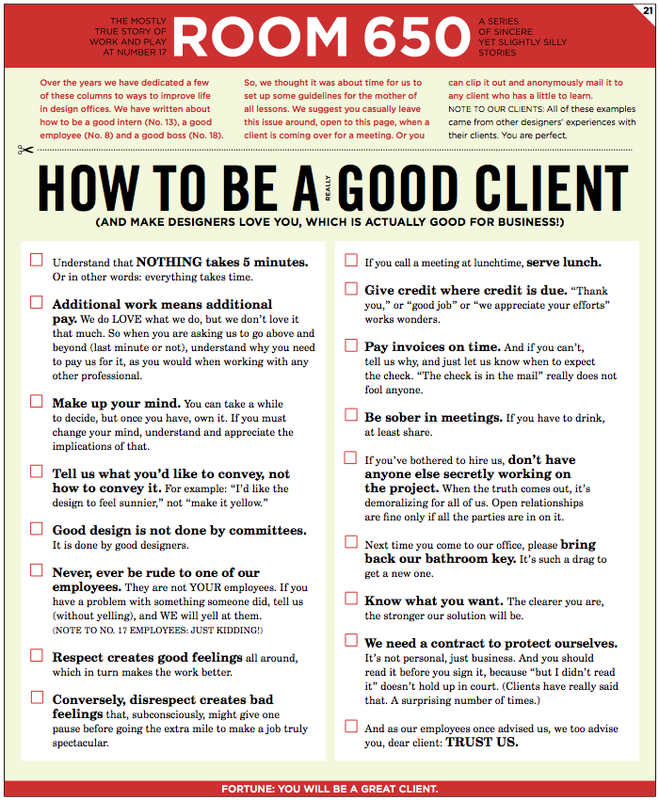 Pret­ty much some basic rules to have a smooth project with con­tract­ed Design­ers. You may either down­load the PDF ver­sion by click­ing here, or via Num­ber 17’s site. You are currently browsing the Just a Memo archives for the 'business' tag.